Flu isn't the only thing going around. An epidemic of economic optimism has seized the European Central Bank, and its president thinks that should be enough to get the continent's economy going once again. Flu isn&apos;t the only thing going around. An epidemic of economic optimism has seized the European Central Bank, and its president thinks that should be enough to get the continent&apos;s economy going once again. Then he said something about a "jury" still being "out," but I for one was too europhoric and busy stimulating the economy to hear it. 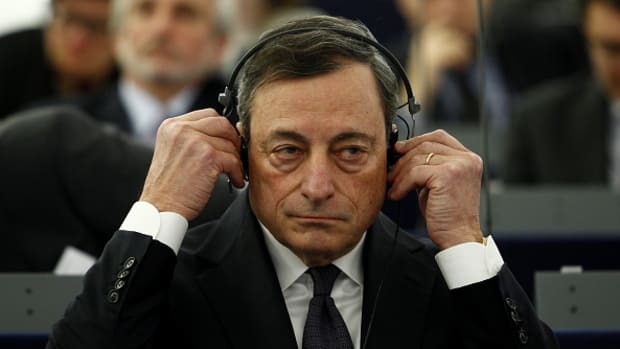 Which is good, because Draghi & Co. won&apos;t be doing any stimulation themselves. 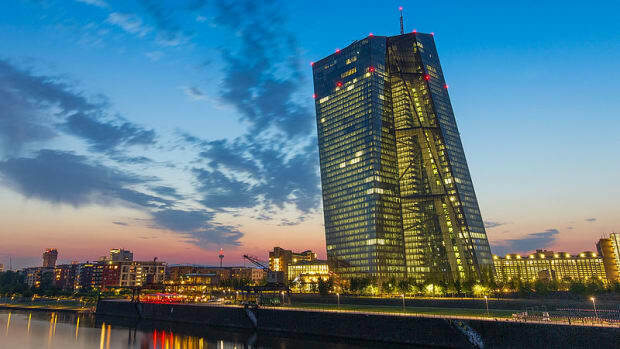 A united European Central Bank sent a strong signal that it is unlikely to cut interest rates despite economic contraction and record unemployment, suggesting the euro-zone economy must find its own footing without additional help from the central bank. But just like fine tailoring, cutting back on QE takes time and love. Josephine Witt is still riding high from yesterday's glitter bombing. You takes the money and we calls it evens.